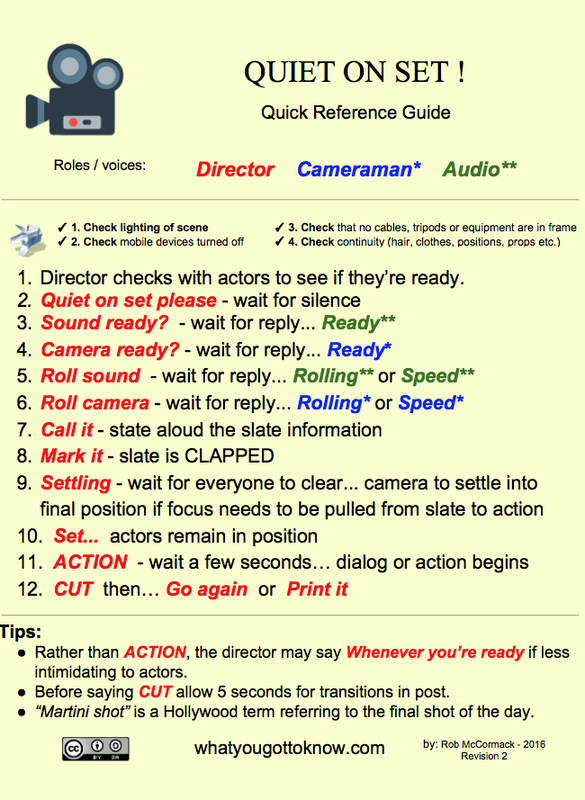 Here is an updated version of the Quick Reference card. Original article here. A few checks at top of card for things like lighting, continuity etc.